The first entry is in and I'm just thrilled! 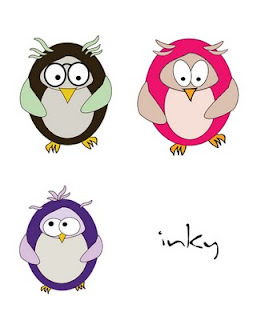 Lucy from inky designs a little family of owls called the Boohoots! Meet Papa, Mama and baby Boohoot. Aren't they just adorable (do you think using my favourite colour for the baby was on purpose!). Thank you Lucy and I can't wait to see what everyone else designs!